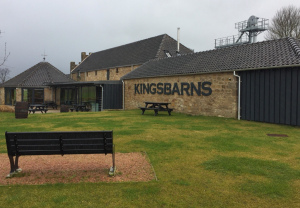 Kingsbarns Distillery and Visitor Centre – which EFJ carried all the joiner work for – won the best Rehab/Rejuvenation Award at the Dundee Institute of Architects annual awards, held at the Invercarse Hotel. Colorado Construction acted as Main Contractors and Simpson & Brown oversaw the transformation of the old farm buildings into a distillery, visitor centre and cafe. Kelty Community Centre won the Ambassador Award. EFJ worked with Hybrid Build Solutions to erect the largest CLT project in Scotland to-date with 6000m2 of panels comprising CLT panels from Austria and VUT panels manufactured in Scotland, before then working with Fife Council to complete all the joiner work on the project. Kelty Community Centre was designed by Fife Council property Services..
East Fife Joinery carried out all the joinerwork on the project – which was implemented by Fife Council – and which has seen the erection of a brand new community centre, which boasts a range of services all designed to bring the community together in one location. Prior to working with Fife Council on the project EFJ originally worked with Hybrid Build Solutions to erect the largest CLT project in Scotland to-date with 6000m2 of panels comprising CLT panels from Austria and VUT panels manufactured in Scotland. East Fife Joinery are an established contractor on Fife Council Building Services supply team and work closely with all staff to ensure that all projects are delivered to the client’s needs. It was a great project – it was important to us as it was local and we are local based contractor. We have a close working relationship with our council which we have developed over a number of years with several different projects. 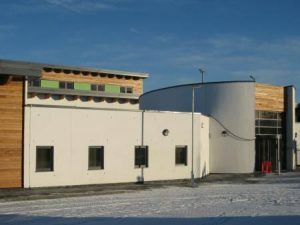 The Kelty Community Centre project took shape on Main Street, as an extension of the existing Kelty Primary School development. An ‘unfit-for-purpose’ church and community centre – which were previously located on the site – were demolished at the beginning of the project, in order to make room for the new facility. As well as the creation of a new building, the project included the creation of a dedicated parking area, as well as some external landscaping works. The Kelty Community Centre project was approved by councillors at the Cowdenbeath Area Committee on 1st May 2013. East Fife Joinery were contracted to carry out the work because of their reputation for completing projects to a very high standard of finish.